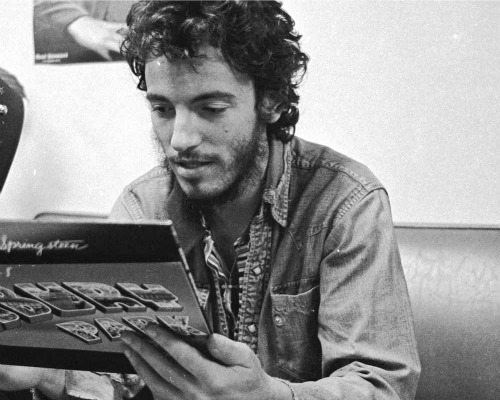 Despite whatever skepticism he may have in regard to the former proposition, however, Springsteen has increasingly proven himself to be a fascinating subject in both conversation and commentary, providing insights to his creative process as well as to the seminal influences that have resonated throughout his work. That arc that emerges of Springsteen's perceptions of his own image and of his legend as he’s gotten older is striking. As I'm sure you remember, after Born In The U.S.A., for instance, he began to resist his public persona—“I’m like Santa Claus at the North Pole,” he’d say about him living in New Jersey—but in more recent years he’s seemed to have grown more comfortable in his own skin. That’s right, and there was a lot of changing from the beginning to the Born In The U.S.A. days. In the very earliest interviews in this book he’s complaining frequently about the fact that he can’t pay his bills. He’s making $75 a week. He also said, in a 1974 interview, that “we won’t play anyplace over 3,000 seats, and even that’s too big.” He didn’t want to talk about music when I interviewed him in ’74. He told me, “That would be messing with the magic.” He didn’t want to take partisan political positions. He said he didn’t see why people get married and bring up kids. “That’s not for me,” [he said]. Quite a lot of changes. But at this point had no sustainable success to back up his defiance. He was just running on adrenaline and ambition. That’s right. He had nothing. I told him that I loved his second album but I hadn’t heard his first one yet, and he said, “I’ll send you my copy. I can’t afford a record player to play it on.” I half-thought he was joking, although when I put this book together I came upon another interview where he also mentioned that he couldn’t afford a record player. But I told him, “Hang onto it.” I knew he was gonna make it. I really did. 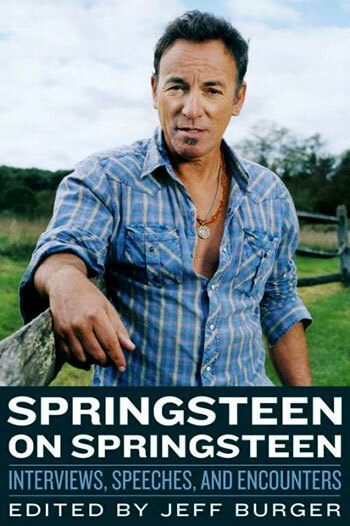 What was your impression in reading your interview with Springsteen, some 40 years on, when revisiting it for this book? Were you struck by any observations you made then, considering how they’ve since lined up with his career? Well, I’d like to think my writing’s gotten better over 40 years. I was pretty young when I wrote this; I’m the same age as Springsteen, within a couple of months. But as far as the observations go it was interesting that I singled out Clarence Clemons as a high point, and that certainly turned out to be true. I thought it was pretty true to what I felt about that album later on. Once Springsteen started to really gain traction with Born to Run and Darkness on the Edge of Town and on from there, were you at all surprised by the magnitude at which he resonated with people? Oh, I guess a little bit, because he achieved the success that’s really beyond most people’s imagination. He just came up there with Dylan and the Beatles and the Stones. Nobody expects to get that big. The fact that he became a star did not surprise me, but I was happily surprised to see how far it went. Springsteen on Springsteen: Interviews, Speeches, and Encounters, edited by Jeff Burger, is published by Chicago Review Press. I'm very excited about this collection. I ordered my copy on Amazon today.